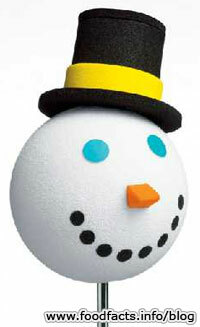 Jack in the Box has begun celebrating the holidays with 2 seasonal menu items and a free holiday antenna ball. Jack has brought back the Pumpkin Pie Shake and the Egg Nog Shake. A free holiday antenna ball is yours with the purchase of either of these shakes (otherwise the holiday antenna ball is 99 cents). Jack is proud to point out that these shakes are made with real ice cream, but a little less proud to admit that they contain trans fats (hopefully they'll eliminate those soon). The shakes are available in 16 and 24 oz sizes and priced at $2.49 and $2.99 respectively.